It is well known that Google is the leader in Search Engines. Submitting your site and getting listed and ranked on it may get you high traffic. Ranking is again based on link popularity. Here are few tips about how to get good traffic through Google. Submit only the homepage of your site to Google and it will of its own index the full site. The Googlebot of Google crawler will automatically follow all the links of the site. Only to make sure is that all the pages are linked well. Usually getting your site listed in Google is fast. The time frame of getting indexed depends on the crawling schedule of the Google. It also depends on how many other sites are there in queue to get indexed before yours. The main thing to remember here is that the website should be fully ready before submission. Being listed on Google is not tough but getting a good rank there is the real point to bother. 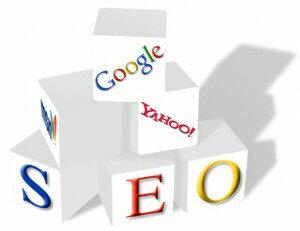 The best possible way of getting good rank is to have many sites linking to your website. The other aspect of high ranking is to have quality content on your site. Moreover, always consider to use specialized keywords and not the generic ones. This would also help to get a good search result of your website. Keep a note that all the important keywords appear on the Title, Description, Content and Alt Tags on the web pages. The result of these is a boost in your ranking. Write few articles for freebies for different other sites with a link of your site. Try to give fresh content. This search query will help you to find out whether your site is listed on Google or not. Type the given search terms in google with your domain name, Google will now show a complete list of all those pages from your site that exists on Google catalog. You may also need a tip of finding out how many sites that are listed in Google are linking to your site. Here is the tip. Copy paste the below given URL on the browser with your domain name. Google will show the pages of other websites that is linking to your website. Keep reading this section and keep commenting. There are many more useful tips and tricks going to be covered frequently here.